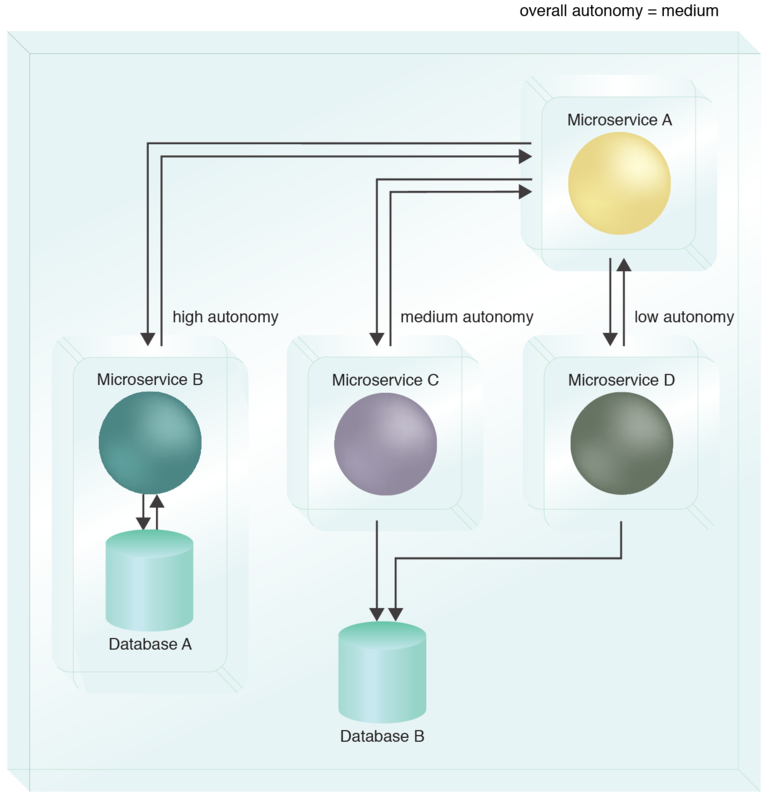 How can microservice compositions be implemented to minimize loss of autonomy? Microservices responsible for composition logic naturally lose autonomy when delegating processing tasks to composed microservices. All composition participants can be isolated to maximize the autonomy of the composition as a whole. Services, components or microservices that need to be part of the composition are redundantly implemented within the composing microservice’s isolated deployment environment. The microservices, services and components participating in a composition are deployed within an isolated environment together with the composing microservice, so as to give the composition as a whole a high level of autonomy. By grouping the microservices and components into a dedicated deployment environment, the collective autonomy is maximized. This pattern can be applied in conjunction with the Redundant Implementation, as explained in the complete pattern description.